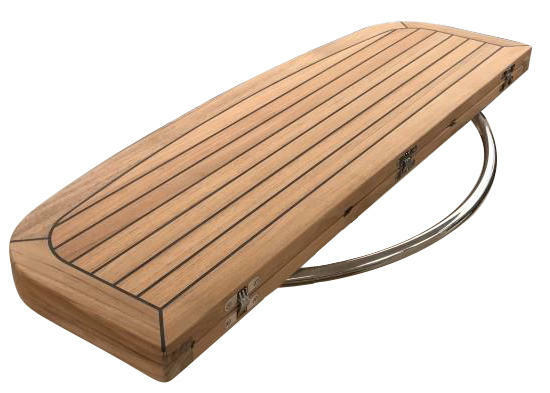 The Nautic Star Fold is one on our newest designs here at Marine Teak and is already proven to be very popular.The Fold has been hand-crafted and is certain to get people talking when they come aboard. Select... TF3450: 500mm x 340mm/680mm 19.7" x 13.4"/26.8" TF3475: 750mm x 340mm/680mm 29.5" x 13.4"/26.8" TF34100: 1000mm x 340mm/680mm 39.4" x 13.4"/26.8" TF34125: 1250mm x 340mm/680mm 49.2" x 13.4"/26.8"
The Marine Teak Nautic Star Fold boat table is one on our newest designs here at Marine Teak and has already become very popular. 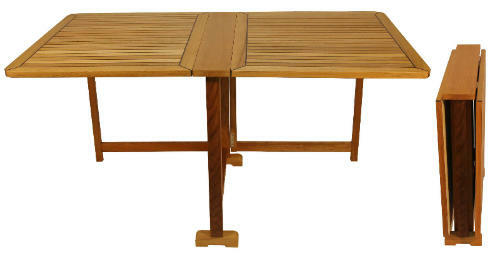 It is an elegantly hand-crafted teak boat table which is certain to get people talking when they come aboard. 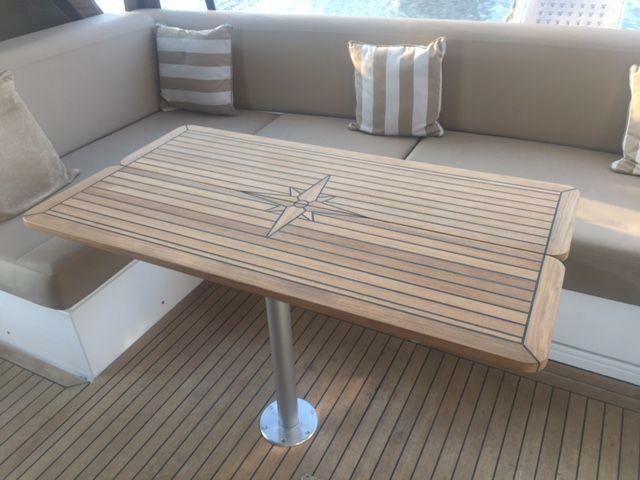 With its smooth rounded edges, this beautiful teak table will add quality and style to any boat, instantly transforming your cockpit, flybridge or galley. The Fold has one hinged leaf which when unfolded doubles the size of the table, perfect for those who enjoy entertaining on board and need the extra table space. When not needed, the table then folds down to half its size maximising the available space on your boat – ideal when underway. 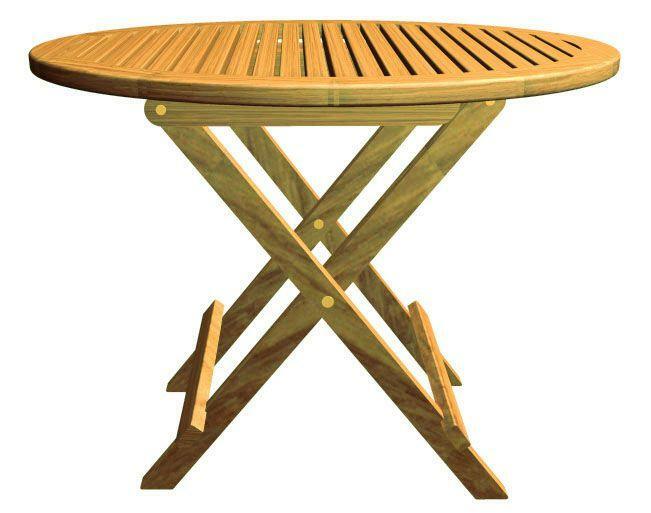 Upon opening the table, two extendable arms can be deployed giving support and stability as well as exposing the embedded striking and traditional hand laid Nautic Star in the center. 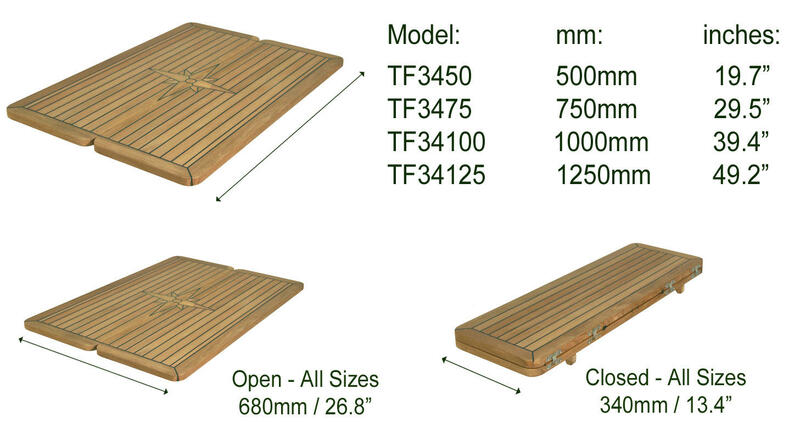 In the closed position the Nautic Star Fold shows off the stunning teak slats in a rectangular shaped table. The Nautic Star Fold is an excellent space saving table and with it’s singular fold this boat table could not be more easy to use. Wherever you add it install it be your saloon, cockpit or flybridge, it is sure to add style and elegance. 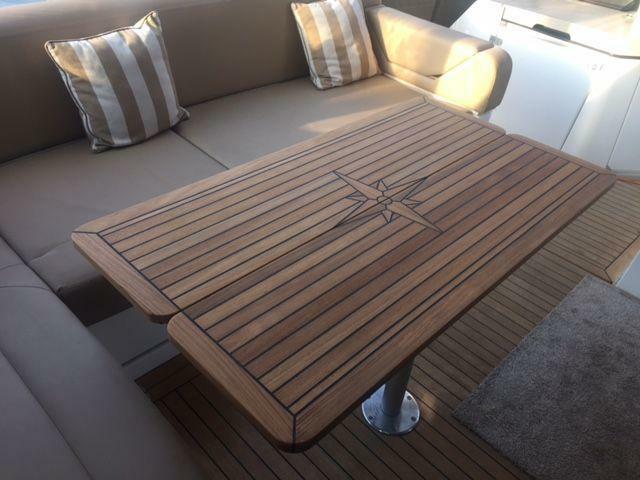 The Nautic Star Fold is carefully constructed around a twice epoxy treated 16mm plywood core which gives huge strength to the table with 6mm solid teak slats applied. A black caulking compound is used between each slat. 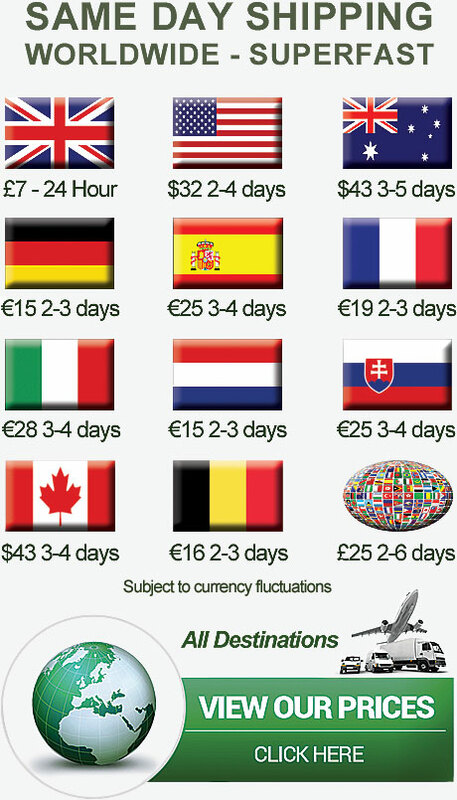 This results in the overall depth of the Nautic Star Fold being 22mm. Click here for our Optional Under Table Mount Hand Rail which is suitable for the 1,000mm and 1,250mm models. 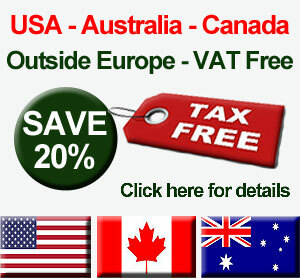 The Nautic Star Fold is delivered in a natural state and is ready to be installed in your boat. However, depending on your needs or environment you may want to treat it - we strongly recommend the use of Semco Natural Teak Sealer if so, which is available under the Teak Sealer and Cleaning section. Stunning, just stunning. So much nicer than our old table which came with our boat. Thank you for the quick delivery as well.